1) This WC is the most expensive in history, costing the Brazilians over $14 billion dollars. This amount is about the same cost as the last three World Cups. Of this colossal figure, about $4 billion went to building seven new or fully-refurbished stadiums and $900 million on security. 2) FIFA, the organizers, will spend a whopping $2 billion to run the event. But, no worries because they’re expected to gross $4 billion from ticket sales, sponsorships and other means of revenue. 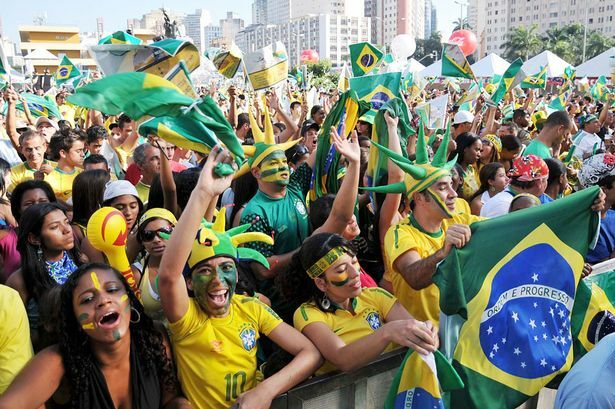 3) A total of 12 cities around Brazil will host the games — the most number of venues in WC history. The Finals will be in Rio de Janeiro, a vast city of 6.3 million people. 4) Brazil is a massive country, almost as big as the U.S. Thus, teams have to travel far distances between venues. Consider the U.S. team. Their first match was in Natal and, for their second game in Manaus, they’ll have to fly 1,700 miles (as comparison, Cebu to Manila is only 355 miles). 5) The World Cup has existed for 84 years but only eight nations have ever hoisted the cup: Spain, France, Germany, Uruguay, Italy, Brazil, Argentina and England. 6) Teams demand special requests pertaining to their hotel accommodations. Here are a few: Japan (jacuzzi in every room), France (liquid soap not bar soap), Uruguay (silent air-conditioning) and Algeria (a copy of the Quran in each room). 7) Gisele Bunchen, the most famous Brazilian model, is expected to present the Cup when the event concludes in Maracana Staidum on July 13. She’s a huge football fan, although her husband (quarterback Tom Brady) is involved in another type of football: American football. 8) The WC champion team wins $35 million while the runner-up, $25 million. Those eliminated in the group stage still take home $8 million. The total purse is $576 million. 10) Out of 209 national teams that vied to participate in the WC , only 32 are entered. They’re divided into eight groups of four teams each with the top two from each bracket advancing to the (Round of 16) knockout stages. 11) Finally! Yes, given the technological advances today, for the first time Goal-Line Technology will be used. Remember the 2010 World Cup when England was denied a goal against Germany after the shot hit the bar and bounced in but the officials failed to call it a score? Now, that won’t happen again. The new system includes 14 cameras that will be positioned around the goal, all connected to a computer in the data room. Once a goal is confirmed, the referee will feel a vibration in a specially-made watch that he’ll use and it will display a simple word: Goal. 12) The referee will be carrying a spray paint. No, he won’t use it against a red card-issued player. It’s a vanishing spray paint that he’ll use to mark the spot for a free kick. Great idea. The paint will last about 60 seconds. 14) Brazil is not only a shoo-in to win because they own the most number of WC trophies (five) but also because of “home-court advantage.” In the last 19 World Cups, six hosts have gone on to win the cup. That’s the good news for Brazil. The bad one: the last time they hosted, they reached the finals but lost to Uruguay. That was in 1950.